Have You Completed Your Purchasing Expenditure Plan for 2014? I have a very good friend who sets all sorts of goals for himself every year, none of which ever get achieved, and he always wonders why. I constantly tell him that the reason is that he identifies the ends (the goals), but not the means – i.e. what specific actions must he take to achieve these objectives. Purchasing professionals fall victim to this same mistake all the time. It’s not enough to just tell management how much cost savings you will achieve in 2014. If that’s all you are doing, you are making the exact same mistake as my friend – focusing on the goals, but forgetting to specify what specific actions you must take to achieve those goals. The way we do this in purchasing is with an annual Purchasing Expenditure Plan (hereafter, PEP). It’s time to do your PEP for 2014. Don’t put it off! If nobody else does one in your department, be a leader and start. Don’t wait for someone to tell you to do it. Complacency is a killer in our profession. The PEP can be regionally focused, customer focused, or commodity focused. It all depends on how your organization structures its purchasing function. Market factors – analysis of costs related to labor, materials, currency fluctuations, supply and demand fluctuations, relevant legislation, etc. Sourcing strategies – how are you sourcing today for your most critical and high dollar needs. Do you have ONE strategy or do you have many. Planned expenditures – by commodity, customer, or region. You should look at trend data as well. Savings strategies – given the above, what concrete and specific actions are you going to take to bring your total cost savings to another level. #5 above is the big one of course. Everything else is analysis and information that helps you make better decisions and commitments for achieving your cost savings goals and objectives. The PEP does not need to be a long document. In fact, the shorter, the better. 1 page is perfect. You want people to be able to quickly read and internalize exactly what you want to achieve and how. Just as importantly, you want to be able to reference it yourself, regularly. Put it on your cubicle wall, in fact. Remember, the PEP document is a TOOL for you, not a deliverable to management. The PEP document should guide your schedule for the year. 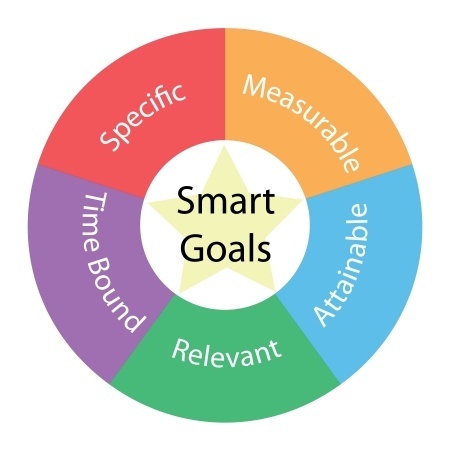 You need to break your goals and the strategies into actionable activities you need to engage in over the course of the year to ensure success. For instance, let’s say one of your goals is to achieve $150K savings by aggregating all of your global cafeterias to be managed by one supplier. What does this mean to you? Break it down! January/February – align with internal customers and with corporate services organization to understand key issues with aggregation of this business with one supplier. Make sure all concerns are understood so you can address them. March – come up with a standardized SOW that addresses all concerns and requirements and captures them to the satisfaction of the internal customer base. April – scour the market to see who are the top 5 qualified companies out there who can support this business. Contact them and send an RFP. May – go through RFP assessments. Select a supplier by the end of the month. Notify existing suppliers and process terminations with sufficient notice per contract terms. June – Manage global transition to new supplier. Ensure score card in place for continuous quality improvement. There you go! Now, this is still not enough detail. You need to nail this down to what you need to work on *and complete* each week to support these objectives. The aggregation of activities from your various PEP commitments then comprises how you spend your time. Going into the office every day without a plan, and letting your day be run by phone calls, voicemails, emails, instant messages, and text messages that you get, while also reacting to customer and supplier excursions that were caused by lack of planning. That’s what you don’t have time for, and that is the kiss of death in our profession, because you will have happy customers and partners, but unhappy management, because you won’t have accomplished anything strategic that you got hired to do. Go put your PEP strategies in place now for 2014, and share them with your management, customers, and business partners. Most important of all, make it your guiding light for all of your activities throughout the year. Talk to you next week and be your best! Next post: Are You Operating in Your Comfort Zone?